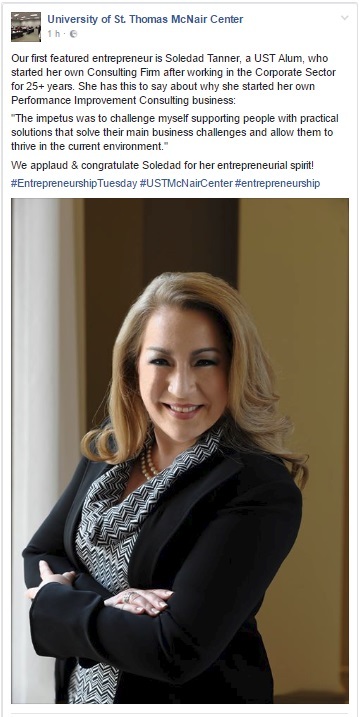 I am very honored to be the first entrepreneur featured in the University of St Thomas (UST) McNair Center website & facebook page. In the spring 2017 semester, the McNair Center for Free Enterprise & Entrepreneurship at the University of St. Thomas launches its first minor: the Free Enterprise & Entrepreneurship program. The timing of this launching is spot on, as it is aligned with a structural change in our society in the way we are currently generating knowledge, ideas and business in general.